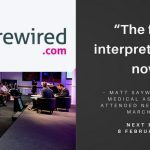 With just over a month to go until the next newsrewired digital journalism conference, Journalism.co.uk is pleased to announce Claire Wardle, research director of First Draft, as the keynote speaker at the event, covering ways to address misinformation online. In this keynote, Wardle will consider the whole spectrum of the misinformation ecosystem, and using research about audience behaviour and social psychology, will outline ways that newsrooms can start tackling the issues associated with fake news, hoaxes, misattributed and manipulated content that surfaces online. Claire Wardle leads strategy and research at First Draft, a non-profit dedicated to finding solutions to the challenges associated with trust and truth in the digital age. She was previously the research director at the Tow Center for Digital Journalism at Columbia Journalism School, head of social media for the UN Refugee Agency and director of news services for Storyful. With under two months to go until the next newsrewired digital journalism conference, the agenda for the event is taking shape. 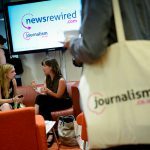 Today the Journalism.co.uk team is pleased to announce speakers from BuzzFeed and the Financial Times will join us on stage at newsrewired. The next event takes place on 8 February 2017 at Reuters in Canary Wharf, London, and will be followed by a full day of training on 9 February. 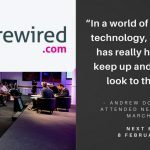 As usual, sharing lessons and practical advice about digital journalism is at the heart of newsrewired, and the agenda will include a mix of panels and workshops throughout the day. 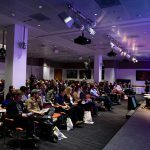 Journalism.co.uk’s next newsrewired digital journalism conference is taking place on 8 February at the Reuters offices in London, and the team has been hard at work on the programme for what is now our 18th event! We’re pleased to be able to announce some of the sessions delegates will be able to join in February and the first confirmed speakers, including experts from the Guardian, The Telegraph, The Wall Street Journal and On Our Radar. Sessions include: the new grammar of live video on social, automation in the newsroom, reaching remote communities, information security for journalists, special projects and newsroom collaboration, and more.